Hey guys! You might have noticed on the right over there that I added an ENERGYbits Ambassador badge. That's right. 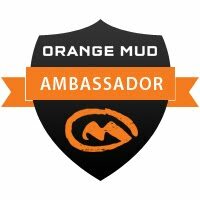 I've become an Ambassador! 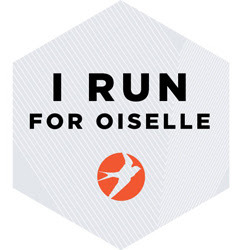 I think it's a great product and it really helps me to during my workouts – it keeps me focused, keeps hunger at bay, and gives me a steady stream of energy to help me finish strong. You can read more about why I love ENERGYbits on the review I wrote up a few months ago, prior to becoming an Ambassador. I wouldn't endorse a product I didn't use or believe in. One of the great benefits of being an ambassador is that I have a discount code to offer to my readers/blends/friends/twitter pals! If you want to buy a bag and try them out for yourself, use promo code 'HeatherRuns' to receive a 25% discount! I know the price seems high—I thought so too, myself—but when you feel/see the benefits, it's worth it. Plus, if you do the math, it's not so bad. After receiving the discount, it's $86.25 for the bag, which is 30 servings. That means each serving is roughly $2.88, which is comparable to most gels or chews. As an added bonus, it's only one ingredient. There's no preservatives, caffeine, sugar, gluten, soy, are vegan, have lots of protein, and they are low in calories. What else could you be looking for? Want to end sugar crashes? Try these bad boys out. Anyway, you can only find them online (or samples through an ambassador... read below), so head on over to energybits.com if you want to buy a bag. I really like to take them before my barre classes and before any runs/races. 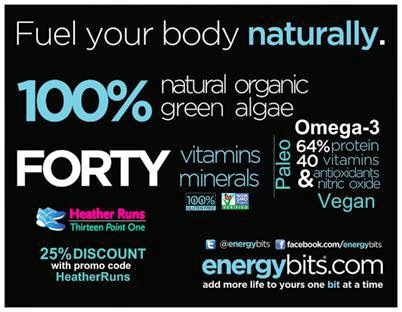 I have trouble eating before working out, so ENERGYbits give me the energy I need to perform my best. Give them a try, I think you'll be pleasantly surprised. I was a skeptic at first, but they really do work. Plus, they are FOOD, not pills. Even though they are small like a pill, they are not. I'm happy to answer any questions you may have. There's also plenty of information on those green little tablets on the ENERGYbits website. However, I know it's great to have first hand experience or to get information from someone that uses them already. 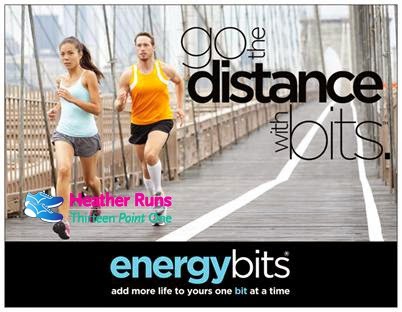 Finally, the good folks at ENERGYbits were nice enough to offer up a sample to one lucky winner! Follow the instructions for the Rafflecopter below. It'll be open until Friday, September 18 at 12am and I will announce the winner that afternoon! Good luck! 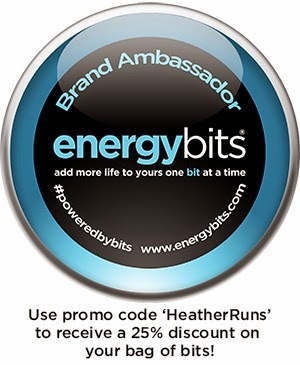 And don't worry, if you don't win, you can still use my promo code 'HeatherRuns' to get a discount on any bag of bits! Or, if you aren't quite ready to commit, let me know. There is a single serving sample program where you can purchase a sample size to give them a test run (see what I did there?). I've always been curious about these. Thanks for the chance to win! You're very welcome - good luck!